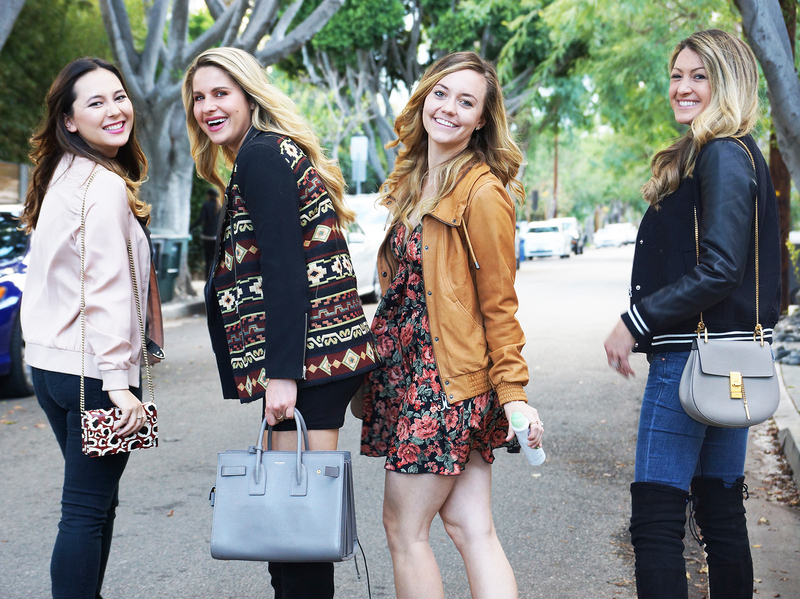 The other night a bunch of my fabulous blogger girlfriends and I got together for a fun girls night out. We all got ready together and then headed to a comedy show at the Laugh Factory in Hollywood. Getting ready for a night out is almost as much fun as the actual event. But let’s be honest here…it’s all fun and games until you realize you’re sweaty and smelly. That’s why I was happy to partner with Dove to share my favorite deodorant with you! 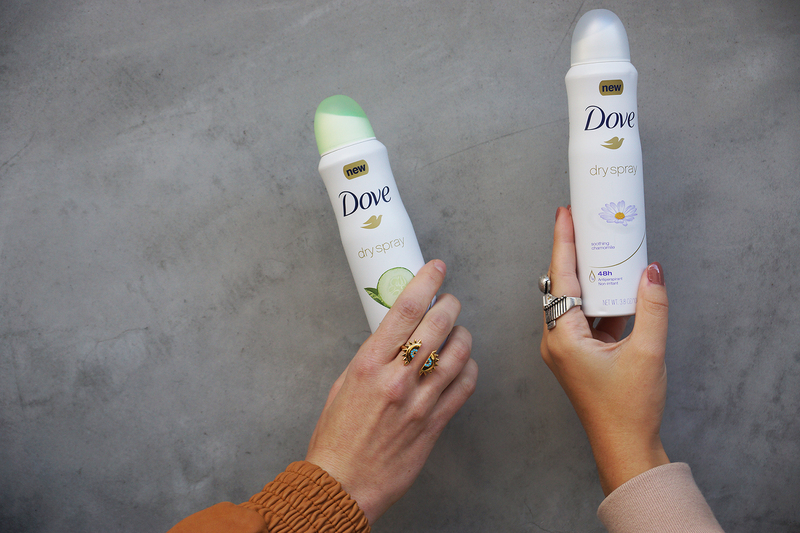 The Dove Dry Spray Antiperspirant is perfect for on the go! All you have to do is #ShakeSprayGo and you’ve got full protection for 48 hours! For real though, am I the only person that gets slightly weirded out when someone asks to borrow your deodorant. Major germaphobe vibes here. But with the Dove Dry Spray, you don’t have to worry about that! I would let anyone borrow my Dove Dry Spray, and actually I insist on it. It seriously smells amazing. I love that it goes on completely dry and also cares for my skin with Dove ¼ moisturizers. There are eight different scents and they’re all so good! I love their Soothing Chamomile scent the best, it’s mild but it leaves you smelling completely fresh. Along with smelling great, my friends and I wanted to share with you some of our favorite beauty tips for getting ready. My beauty tip for a night out is to always do your eye makeup first! This is especially good if you’re doing a smokey eye. When you’re applying eye shadow, liner and mascara it can sometimes get a bit messy and there’s a lot of fall out. If you do your eyes first, you can wipe away the fall out and then cover with a concealer. My favorite concealer of the moment is the Bye Bye Undereye Concealer from It Cosmetics. It’s thick so a little goes a long way! After we all got ready, we headed to the Laugh Factory. My favorite comedian of the night was this woman who spent her entire set talking about the Bachelor. A woman after my own heart. It was HILARIOUS! With all the laughing I was happy I put on some Dove Dry Spray Antiperspirant to keep me dry throughout the night! 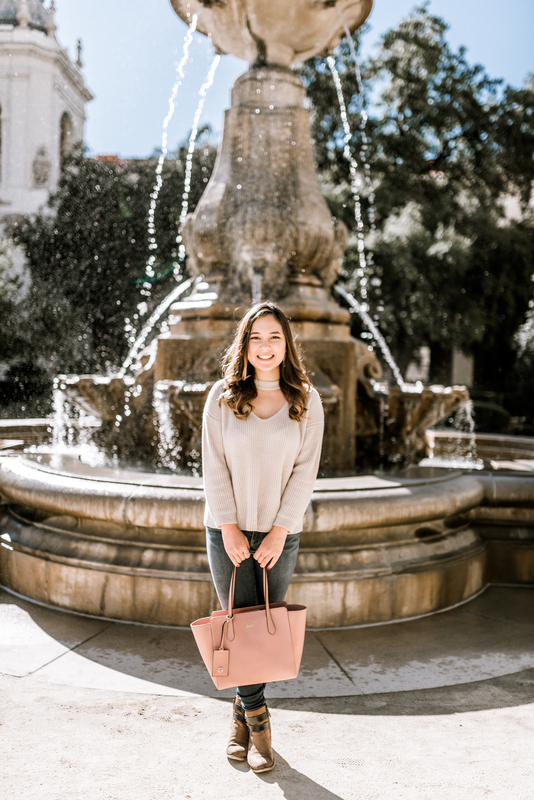 Thank you to Dove and Simply Stylist for partnering with me on this post. All thoughts and opinions are my own.